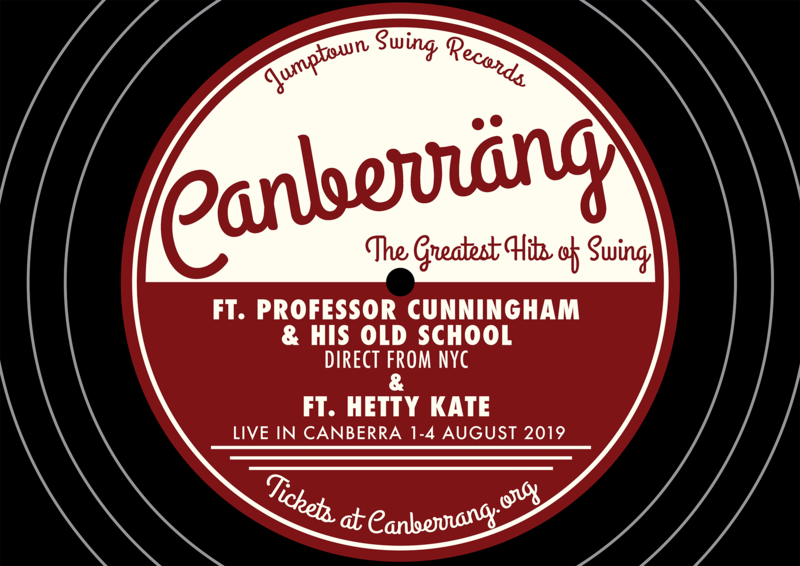 Canberräng is Canberra’s festival of swing and one of Australia’s longest running and best loved swing dance exchanges. In 2019 join us in our nation's capital from 1-4 August as we salute the iconic music and moments that have shaped swing dance through the years! Headlined by Professor Cunningham and His Old School (direct from NYC) and featuring the sublime Hetty Kate, it’s going to be one stellar compilation! Tickets and more details coming soon!